The Swiss watchmaker's new Reverso One Duetto Jewelry takes inspiration from the 1920s and 1930s. Jaeger-LeCoultre's iconic timepiece, the Reverso, stands apart in the watch market thanks to its swivel case, which can flip 180 degrees to show the time on a different dial, often with a different design. The new Reverso One Duetto Jewelry has been designed in 18-karat rose gold, reinforcing the watch's feminine side and showcasing a new form of elegance. 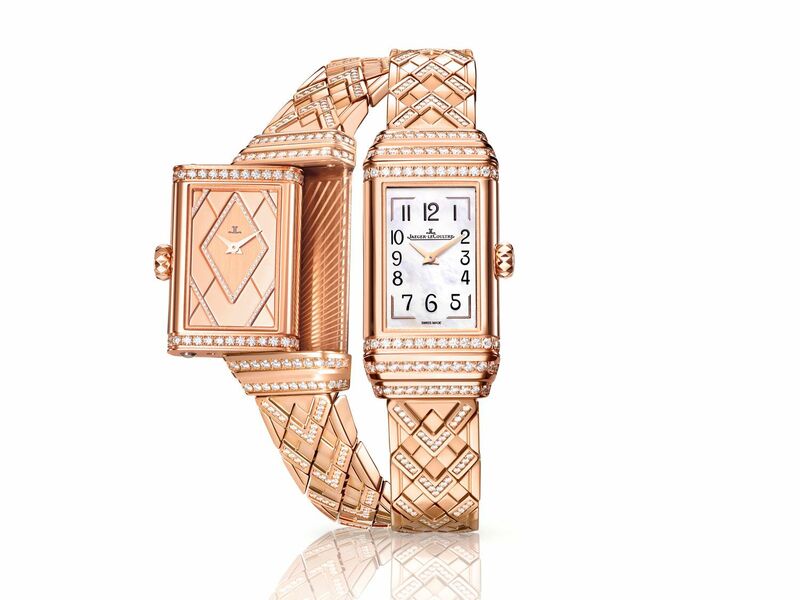 Inspired by Art Deco style, the new watch has a rose gold strap with geometric lozenge-shaped links. This graphic motif is also used on the rear dial. The front dial, on the other hand, features an elegant face in Bali mother-of-pearl with Arabic numerals, as if painted by hand. This being a high jewelry timepiece, the watch case, dial, gadroons, and strap are all set with brilliant-cut diamonds of different sizes. In total, there are 460 diamonds on this new Reverso One Duetto Jewelry watch. The watch is equipped with the Jaeger-LeCoultre 844 caliber, a mechanical self-winding manufacture movement, assembled and decorated by hand, offering a power reserve of up to 38 hours. The watch has hours and minutes functions.